Situated in the Boyne valley overlooking the River Boyne just a few miles upstream from the site of the famous Battle of the Boyne, Slane Castle in its existing form was reconstructed under the direction of William Burton Conyngham, together with his nephew the first Marquess Conyngham. The reconstruction dates back to 1785 and is principally the work of James Gandon, James Wyatt and Francis Johnston. Francis Johnston is responsible for the gothic gates on the Mill Hill. The Conynghams are originally a noble Scottish family, and first settled in Ireland in 1611 in County Donegal. There has been an active association between the Conynghams and the Slane Estate dating back over 300 years, ever since the property was purchased by the family following the Williamite Confiscations in 1701. Prior to this, Slane had been possessed by the Flemings, aristocratic Anglo-Norman Catholics who cast their lot with the Jacobites. Christopher Fleming, 22nd of Slane, 17th Lord, Viscount Longford (1669 – 14 July 1726), was the last Fleming Lord of Slane. The present head of the Conyngham family and occupant of Slane Castle is the 8th Marquess Conyngham. In 1991, a fire in the Castle caused extensive damage to the building and completely gutted the Eastern section facing the River Boyne. 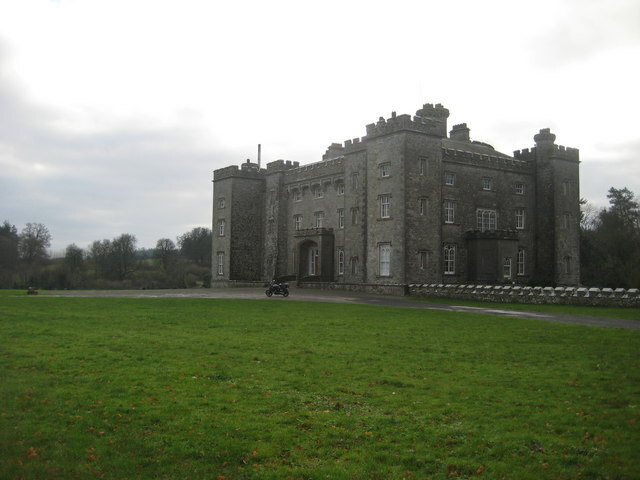 With the completion of the 10-year restoration program in 2001, Slane Castle has once again opened its doors. Conyngham, under the name "Henry Mountcharles" (he bore at the time the courtesy title of Earl of Mount Charles), ran a campaign for a difficult seat in Louth on behalf of Fine Gael in the 1992 Irish general election. This page has been viewed about 758 times.